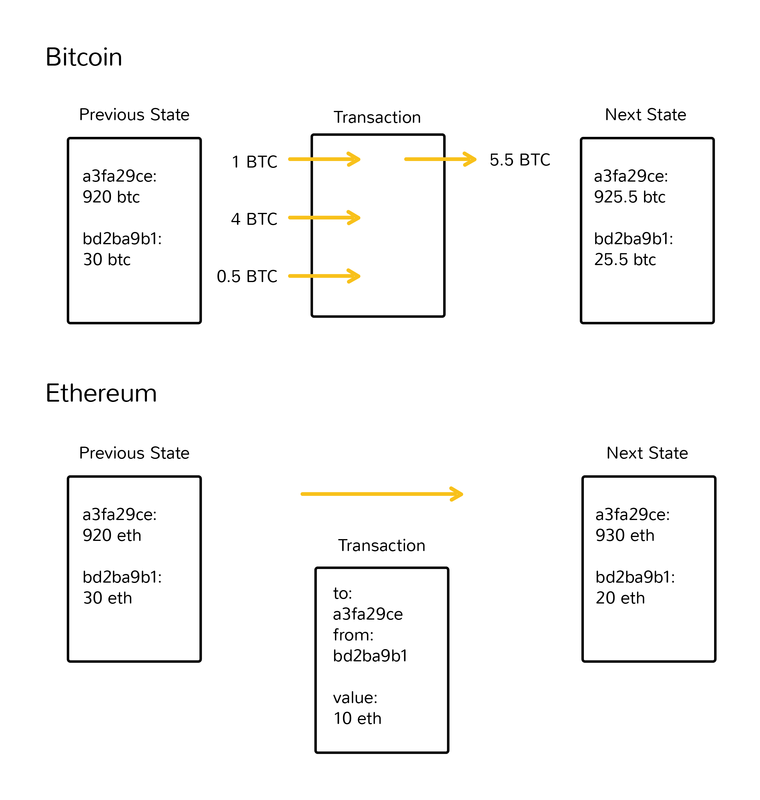 Now that we’ve covered what ethereum is, let’s dive deeper into how the platform functions under the hood. The goal of ethereum’s ‘Turing-complete’ programming language is to allow developers to write more programs in which blockchain transactions could govern and automate specific outcomes. This flexibility is perhaps ethereum’s primary innovation, as explained in the guide “How Ethereum Smart Contracts Work“. The structure of the ethereum blockchain is very similar to bitcoin’s, in that it is a shared record of the entire transaction history. Every node on the network stores a copy of this history. For each ethereum application, the network needs to keep track of the ‘state’, or the current information of all of these applications, including each user’s balance, all the smart contract code and where it’s all stored. Contracts written in a smart contract-specific programming languages are compiled into ‘bytecode’, which a feature called the ‘ethereum virtual machine’ (EVM) can read and execute. Remember that every node in the network holds a copy of the transaction and smart contract history of the network, in addition to keeping track of the current ‘state’. Every time a user performs some action, all of the nodes on the network need to come to agreement that this change took place. As explained in our guide “How Ethereum Mining Works“, miners are the ones that are preventing bad behavior – like ensuring that no one is spending their money more than once and rejecting smart contracts that haven’t been paid for. But, you might be thinking, isn’t that much more expensive than a normal computation? Yes, it is. That’s why the network might only be used only for particular use cases.